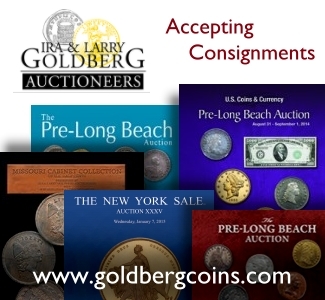 CoinWeek: Cool Coins! 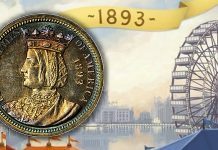 2018 Episode 1: Amazing Mint Errors, Shipwreck Gold and More! Segment 2: Jeff Shevlin and Charles talk about the interrelationship of So-Called Dollars and Classic Commemorative Coins. Jeff has a seldom-seen So-Called Dollar from the World’s Colombian Exposition of 1893 honoring the President of the Board of Lady Managers, Mrs. Potter Palmer. 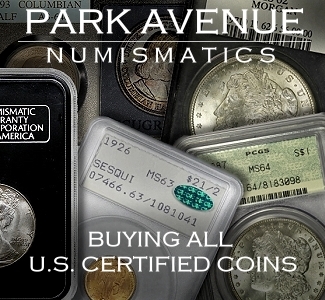 Segment 3: Russ Augustin from AU Capital Management always brings nice coins with him when he travels to a major coin show. At the FUN Show in Tampa, Russ had the finest known 1856-S $2.50 gold coin. This is an amazing MS67 example, which is a whole two points higher than the second finest example for the date; a fact that is made even more unbelievable due to the fact that this is a shipwreck coin from the SS Central America! Segment 4: You won’t see an error coin like this again any time soon. 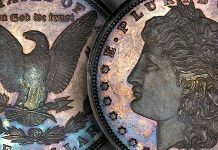 Mint error dealer Fred Weinberg has only sold a few coins in his career that he regrets not keeping for himself and this 1851 double eagle struck on a large cent planchet is one of them. 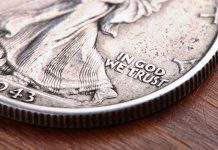 Imagine the scenario where the U.S. most high value coins, a $20 gold piece, is accidentally (ahem) struck on one of the country’s most humble coin planchets.